Police are appealing for information after a takeaway delivery driver was attacked. 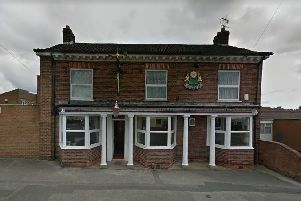 Police were called to Buckingham Close, Kirkby, on Thursday, March 14, at about 10.30pm, following reports of a takeaway delivery driver being assaulted. Police are appealing for information about an assault in Kirkby. The victim suffered injuries to his arms, believed to be minor. The suspect was wearing a balaclava at the time of the offence. A Nottinghamshire Police spokesman said: "Officers have searched the area and continue to look at local CCTV images to help with the investigation. "If anyone has any information please contact the police on 101 quoting incident number 942 of March 14, 2019."